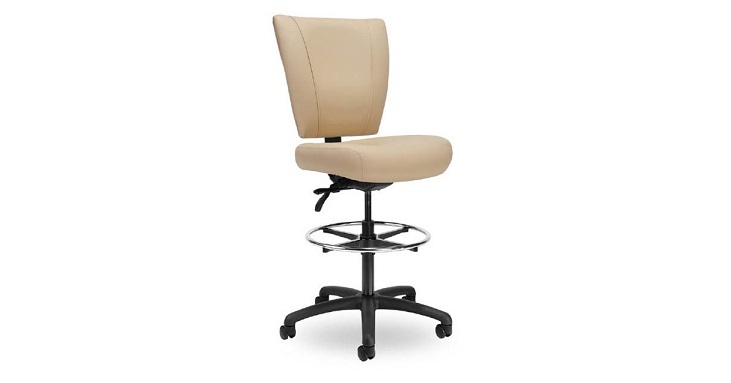 The Seating Inc. Monterey 400 Drafting Chair offers a comfortable tall seating solution for users who are larger or taller than average, as well as those who need a tall chair for an around the clock application. The Monterey 400 combines elegant styling with heavy duty construction, with energy absorbing foam cushions that make for an extremely comfortable chair. The Seating Inc. Monterey 400 Drafting Chair also features a sculpted and stitched mid-back, optional Schukra lumbar support, multiple arm choices and many fabrics to choose from.